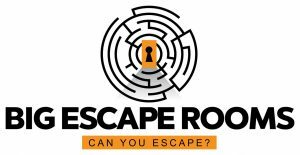 Big Escape Rooms are perfect for team building exercises. We provide personalized service to cater to your corporate, non-profit or school events. Our team building exercises encourage team development, leadership, collaboration, bonding in a fun filled 60 minute live action game! We supply everything from the rooms to game guides. All you need to bring is your enthusiasm! Each of our games accommodates up to 10 people and we can cater food and drink for up to 300 people for your event. Each of our games lasts 60 minutes but we can work with you to provide longer events. Your event can be analyzed by an experienced game guide or even a behavioral psychologist and we can provide a detailed report that outlines the good team building behavior exhibited by your team as well as areas that need improvement. Book one of our fully equipped meeting rooms afterwards to debrief and discuss the entire experience!